Today brings our month long Virtual Curriculum Fair to a close. While it can be a little sad to see something ‘end’, I am happy that what I and other homeschool moms are sharing will be available whenever someone needs the information. 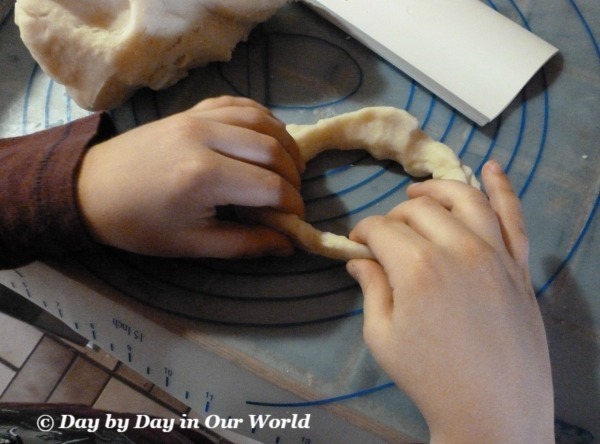 For today, the theme is “Seeking Beauty: the Arts and Everything that Brings Beauty to Our World”—includes any of the arts, handicrafts, but really ANYTHING at all that adds beauty to your homeschool. 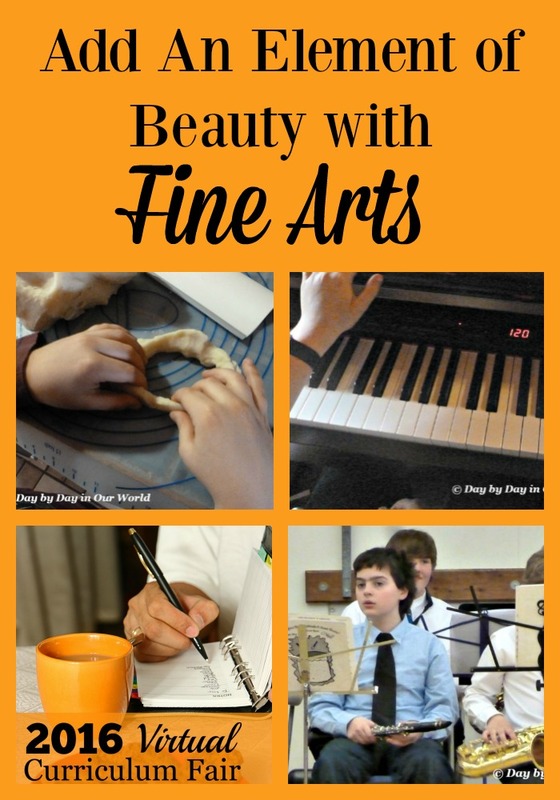 I have a terrible time with making sure that the fine arts are included in our homeschool journey on a consistent basis. However, I thought I’d share what we’ve been doing and what we are trying to do this year. This is an area which I love when we do it but find it often gets set aside. I purchased a streaming video based art curriculum, Creating a Masterpiece, to use with the boys this school year. As it is on J’s learning plan for the Spring, we WILL be doing a few of the projects over the next few months before our annual subscription ends. What appealed to me is that anyone can do the projects plus it would be something most of the family can do. J saw a sample of the turtle sculpture at our curriculum fair which had him excited to try this out. So, I know that is one of the projects we are doing. I’m just deciding on the others and gathering the rest of our supplies. As an upcoming review, my 7th grader will be using Sculpture Technique, CONSTRUCT from ARTistic Pursuits. I have always been impressed with Brenda’s courses and am eager to see how this newer one works for him. We’ve reviewed both her preschool program, The Way They See It, and an older edition of Grades K-3 Book 1: An Introduction to the Visual Arts. After years of failing to keep going on any particular program with my boys, I have found the solution. Have them pick the instrument and then find an instructor. At least that is how 2 of my guys are getting a regular dose of music beyond listening to songs with me. I definitely want them to reap the benefits of learning an instrument. 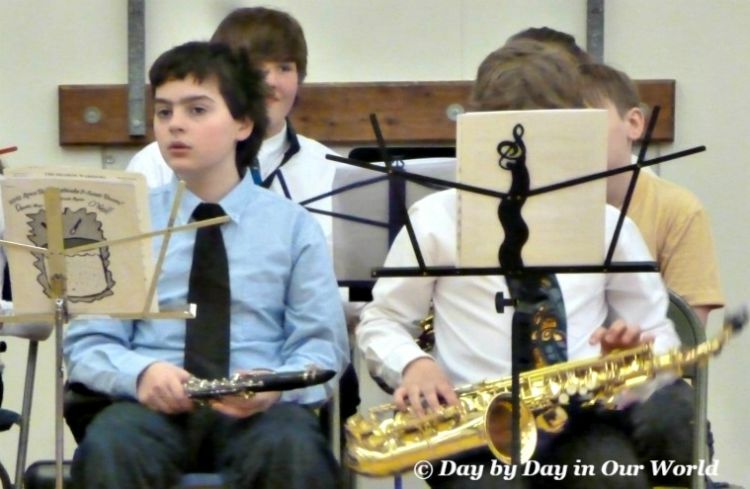 D began clarinet last year at the elementary school he was attending. After he left the middle school, we had to evaluate what we’d do for music. He had the option to stay in the band class at the middle school. However, after a lot of thought and evaluation on how that would impact our days, we elected to find an instructor to work with him on both clarinet and saxophone. While I sometimes regret going this route as he isn’t performing in a group right now, I know that driving him 20 minutes each way every day would have had a potentially large negative effect on the homeschool venture as a whole. Watching his big brother go for lessons has our youngest begging to learn the drums. He’d been drawn to the electric drum set at the one music store for over a year. In December, we had the opportunity to purchase a used set of electric drums and set up a time with the drummer who works at that music store. After the first few lessons, I was starting to think maybe it wasn’t the best choice. But, this past week, J started to improve significantly. Like learning to read, I think he needed some time for things to start clicking in his brain. My high school student is eager to learn accordion. However, that instrument is proving to be more challenging to find an instructor. So, I will have him using Homeschool Piano (which we reviewed 2 years ago) for learning more about reading the sheet music and playing a keyboard. And, we ordered a beginner accordion book to help him learn the rest. Now, music appreciation is NOT completely off the table. We enjoy listening to selections from Maestro Classics that we have in the house. And, we are very excited to be starting a new review, Music Appreciation: Book 1 for the Elementary Grades, with the Schoolhouse Review Crew which will do just that. Even my high school student will be joining along. How do you incorporate the arts in your homeschool? Is music a key component for your family? Here are a few other homeschool bloggers sharing on the topic of beauty in the world. We love Maestro Classics but recently have been reading a few pages about a composer in our morning time, once a week, and then listening to a short piece of their music. I will look at your Music Appreciation book as ours will only last rather a short time.